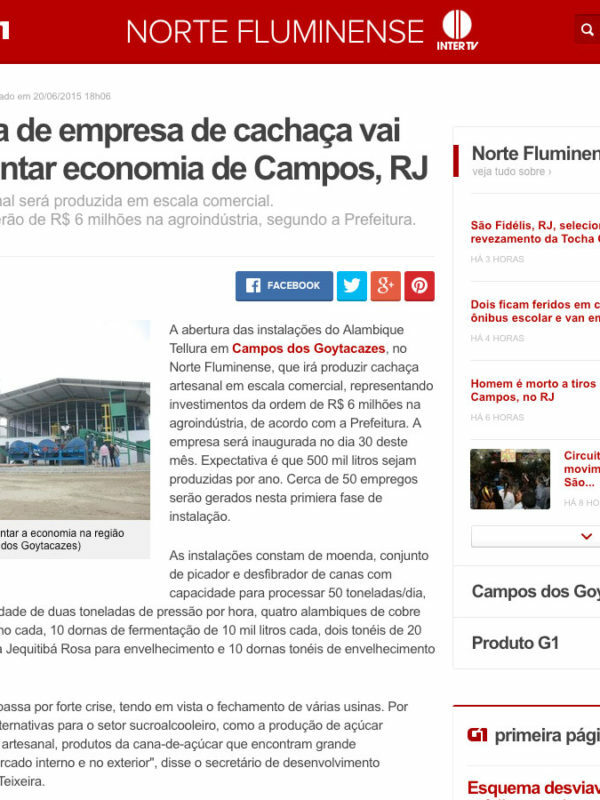 The opening of Alambique Tellura in Campos dos Goytacazes, in the Norte Fluminense Region, which will produce cachaça on a commercial scale, representing investments of R$ 6 million in agribusiness, according to town hall. The company will be inaugurated on the 30th of this month. Expectation is that 500,000 liters are produced per year. About 50 jobs will be created in this first phase. The facilities consist of milling, set chipper and shredder rods with a capacity of 50 tons/day, boiler with a capacity of two tons of pressure per hour, four copper stills of 2000 liters of wine each, 10 fermentation tanks of 10,000 liters each, two casks of 20,000 liters made of wooden Jequitibá Rose and 10 casks used for aging the juice for three years. 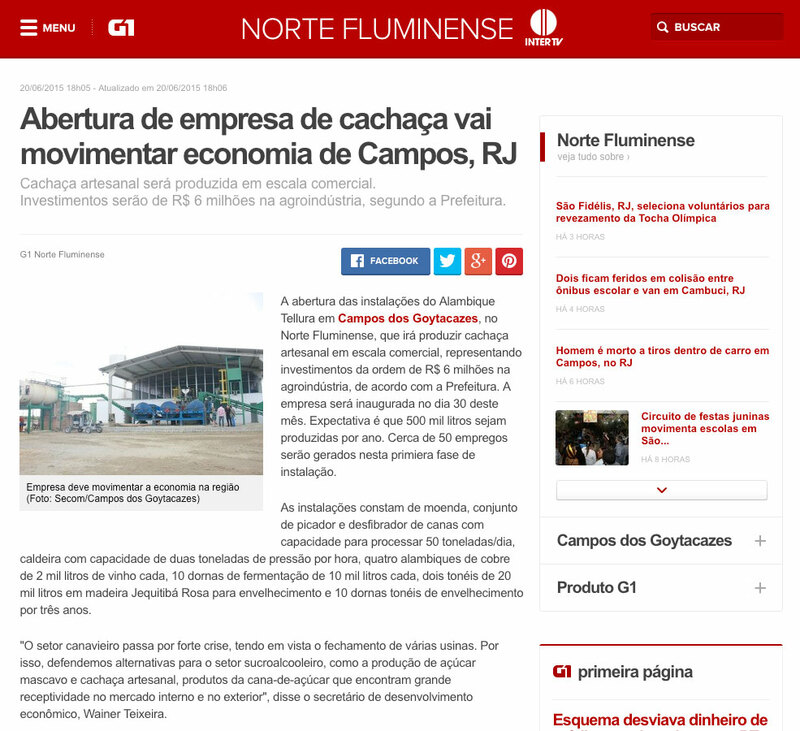 “The sugarcane industry undergoes major crisis, in view of the closure of several plants. Therefore, we defend alternatives to the sugar and ethanol industry, as the production of brown sugar and handmade cachaça, products of sugarcane that are now with great receptivity on the domestic market and abroad, “said the secretary of economic development, Wainer Teixeira.